In collaboration with Rackspace, at Weberloo, we are offering a Managed Cloud option wherein the business owner can take care of his business while, the company will manage the business’s cloud. The managed cloud approach adopted by Weberloo addresses all those common points where businesses struggle upon while they are at managing and building their infrastructure in Information Technology. Through this service, we bring to you six key functions which will help achieve a scalable architecture that will best suit all the technical needs of your company that is managed by a group of IT professionals and supported round the clock and round the year by our professionals. We give our customers utmost flexibility by designing the Managed Cloud with specific workloads that may encompass inter-office applications, multimedia or ecommerce. We work with a premise that IT is the backbone for any business to succeed and so we work towards offering a competitive advantage through our cloud services. When you avail our Managed Cloud service, you, as a business owner can concentrate on other important departments that need your special attention, those departments that are responsible to generate more revenue for your business. This will definitely help you in gaining an edge over your competitors. In terms of Architecture: It will help in preventing problems and then put you in such a position that you will have an edge over your competitors. Our Cloud engineers will come up with a custom solution which will help you meet all kinds of technical requirements that may come up in the existing stage as well as in the future. In terms of Monitoring: When you have intelligent data, you can definitely come up with intelligent decisions. With Managed Cloud you will be able to monitor the right strategic parts even when they are numerous choices. In terms of Scalability: With Managed Cloud your business can adapt to all those changes that may take place with passing time. This transition can be made in a seamless manner and not pinch you financially too. In terms of Operation: We will help creating stability in the given IT environment. We do so by implementing those features and solutions that are extremely secure and perform well even over a fleet of servers. In terms of Administration: We will allow you to divert your concentration to where it counts most as our professionals will take care of the management of your storage, servers as well as network devices. In terms of Alert: We will offer instantaneous response to any kind of problems that may arise. 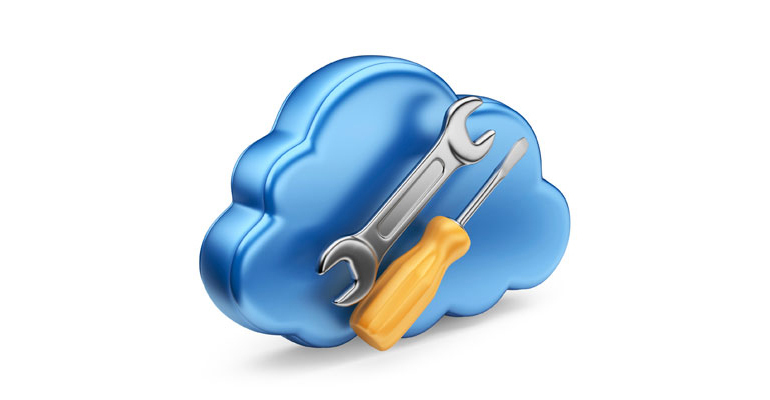 With our service in managed cloud, you will have engineers at your disposal to diagnose and solve the issues that have come up. We at Weberloo, perfectly understand that each organization has its own set of workloads and so we will help them in the way that is apt for their business. We have two service levels, the Managed Infrastructure service level and the Managed operations service level. In the former, the main focus is to maintain a solid foundation for all operations in IT which includes networking, data management and also hypervisor management. In the latter, the organization can leave everything to our engineers after taking care of key applications. Through this service, we take care of the individual servers, network devices and storage, allowing you to concentrate on tasks other than administration and platform management. Our Managed Cloud service will include designing, building and running the apt cloud that will suit the myriad range of needs your business may have. In case you are looking out for availing this service of ours, get in touch with us through email, chat or through call.